We would like to welcome you to a 1-day workshop on recent developments in forecasting technologies. The session will be led by global leaders in the field, and will be illustrated will real life case studies detailing how forecasting systems have been designed, implemented and are in operational use today; providing forecasts, warning and informing the control of flood defences or operational processes in order to optimise capacity of sewerage infrastructure. There is now under two weeks to sign up for this free event! Andy Wilson (from DHI Sweden but a native of Scotland) will give an update to a presentation he delivered at the CIWEM Urban Drainage Group in November 2014 where he talked about modelling of slow response runoff, in particular focusing on long term/continuous simulations (rather than event based hydrology). Andy will illustrate his presentation with applications from both Sweden and Scotland, and will talk about the importance of Rainfall Dependent Infiltration (RDI). This part of the day will introduce the concept truly integrated catchment modelling, using MIKE SHE. The session will discuss the importance of groundwater in flood forecasting projects. We will demonstrate how operational real-time forecasting, warning and control can informed by high resolution Local Area Weather Radar (LAWR). LAWR can provide distributed rainfall measurements in a spatial resolution ranging from 500x500 m to 100x100 m, with a 5 minute or 1 minute time, up to a distance of 20 km from the radar (for quantitative estimation). It can also provide an online animation of rainfall within the complete LAWR range. During this session we will show you the processes you would need to follow in order to go from a standalone model (such as a 1D or a 2D hydraulic model), to a live operational flood forecasting system. Using the example of an existing MIKE11, we will consider simplifications that may need to be made to the model in order to make the model suitable for flood forecasting. That revised model will then be taken into the MIKE Customised platform. From there we will look at boundary conditions and in particular how to provide live feeds into the flood forecasting platform. This will then allow us to use the hydraulic model in flood forecasting mode. From here we will show how to stream the flood forecasting results live online. We will take the opportunity to look at an existing on-line river forecasting system that has been developed and currently operational on a day to day basis. This session will cover IMS, in particular showing how data from a wide range of technology platforms and vendors can be integrated into our systems. This session will consider probabilistic flood modelling using large scale, quasi-2D river and flood-cell networks with stochastic structures in MIKE 1D (our new MIKE 11 engine). This session will cover both simplified numerical schemes and high performance computing (using GPU cards and/or Linux clusters) options available to you. Throughout the day there will the opportunity to discuss the concepts discussed in your particular context and potential application. You should leave the day with a solid understanding of the technology available, and the steps you would need to take in order to move your project forward. You can also meet our experts and start discussion with potential collaborators. The training course is completely free, so simply sign up for the training day here www.dhi-uk.info/register. This training event will be delivered as part of a wider Symposium. However, there is no obligation to attend the earlier events (see www.dhi-uk.info/symposium for more details). 2015 DHI UK & Ireland Symposium - Programme is complete and places are filling up fast! The programme for both days is now complete and can be viewed here www.dhi-uk.info/programme. Many thanks to all of you who have offered to give presentations. We really appreciate your efforts! Lots of delegates have already registered for the event but we still have spaces available. If you would like to come along to either day (or even better both! ), please register here as soon as possible www.dhi-uk.info/register. Attendance at the Symposium (including the Symposium Dinner on the Tuesday night) is completely free! Bed & Breakfast is available at Ansty Hall for a special discounted rate of £87.50 per night, or you can make your own arrangements. If you have not been before and are considering coming, we would extend a warm welcome to you. No experience of DHI or MIKE software is required. There will be lots of opportunities to meet your contemporaries in both the formal sessions and afterwards over a drink or meal. Feel free to drop us a line at mikebydhi.uk@dhigroup.com if you would like to know more. We look forward to receiving your conference registrations and meeting you all at the event. Registration is now open for 2015 UK & Ireland Symposium! For the 2015 event we have a new venue: Ansty Hall in the Midlands http://www.macdonaldhotels.co.uk/our-hotels/macdonald-ansty-hall/. We are still developing the Agenda for both days – thanks to everyone who has offered exciting presentations for the first day. If you are interested in sharing your applications and experiences of the MIKE software with your contemporaries, please send an email to mikebydhi.uk@dhigroup.com and we will reserve a slot for you. The first day of presentations ends with the Symposium dinner. The second day consists of series of seminars. Attendance at the Symposium is completely free! If you have not been to the event before and would simply like to know more, feel free to have a look at our symposium website http://www.dhi-uk.info/symposium or email us at mikebydhi.uk@dhigroup.com. We look forward to receiving your conference registrations and presentation abstracts. The Shape2MIKE Tool is a MIKE Powered by DHI custom user tool. 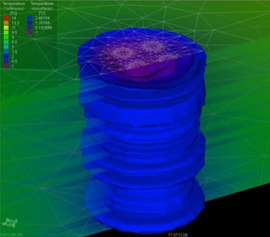 It is developed for the purpose of automating the process of using shape files to adjust topography or other values in dfs2 files used in MIKE models. 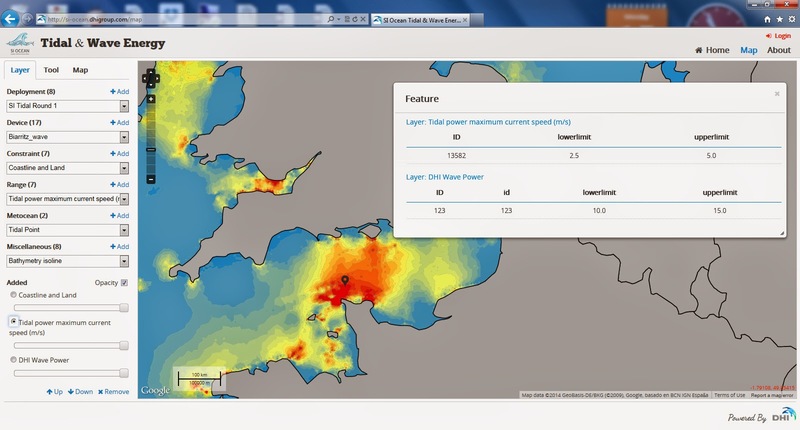 The intended application of the tool is to use a polygon shape file of buildings to automatically assign land values to the dfs2 grid cells, which are intersecting the building polygons. It can also be used to ‘burn’ roadways and other features into the dfs2 topography and to map the attribute value of a polygon to the underlying grid cells. The file includes installation instructions and user guide. This tool is developed for MIKE by DHI 2014, but is likely to also work with previous versions. Please note that this tool replaces the previous Topography Adjustment Tool 2014. Please download and install Service Pack 3 to get the latest improvements for MIKE by DHI 2014 software. Many of the support cases we see can be simply resolved by installing the latest service pack. Please note that the Service Packs are accumulative, which means that the latest Service Pack also includes previously released corrections and improvements. This new workshop at the Technische Universität München is aimed at anyone dealing with numerical geothermal simulation in the context of geothermal energy for practical applications or research. We received an overwhelming response to the call for papers, and the full program for the workshop is available now! Building on the huge success of the previous FEFLOW conferences, FEFLOW 2015 will feature numerous opportunities for business networking, exchanging ideas and improving your modelling skills. We hope to meet you for another memorable event in Berlin! We would like to welcome anyone who is interested in learning more about the varied applications of the MIKE software and our complementary technologies, as well as existing and new software users. The Symposium offers the chance to meet people in both the formal sessions, but also over dinner and during breakout sessions. The event is free of charge* again this year and will be held at Macdonald Ansty Hall near Coventry, chosen to ensure easy access from road, rail and air. It should offer an excellent opportunity to meet your local DHI team and DHI staff from Head Office, as well as your contemporaries from consultancy, academia and research in a well-appointed setting. The presentation line up and training sessions cover a wide range of fields from urban, rivers and catchments to marine and groundwater. We are in the process of setting up an exciting programme of events for the Seminars on the second day. This year, in readiness for the MIKE 2016 release, we will include a half day workshop on our new MIKE 21 FM Shoreline model as part of an 'Innovation in Marine Modelling' day. All participants of the Symposium will be entitled to a discount off the price of the new Shoreline Model when available. For a successful first day, as usual, we need your help! If you would like to give a presentation at the event please let us know by e-mailing mikebydhi.uk@dhigroup.com. Everyone is welcome to present projects they have worked on, research they are undertaking – or more general experiences on the use of the MIKE software. You are guaranteed an interested and enthusiastic audience! For inspiration, please peruse the papers which were presented last year https://www.slideshare.net/sjf_dhi/2014-mike-by-dhi-uk-symposium-user-group-meeting-presentations-and-papers-13-may-2014. The quality of the papers was truly amazing and all the presenters in 2014 continue to have our sincere thanks. Let's see if we can match them this year! If you would like to attend, feel free to drop us a line at mikebydhi.uk@dhigroup.com and we will keep you updated. We will also be launching a website shortly for online registrations. * Bed and breakfast is available at the venue for participants who wish to stay overnight on Monday or Tuesday nights, and a reduced rate has been negotiated for Symposium participants. Other hotels are available nearby if you wish to make your own arrangements. 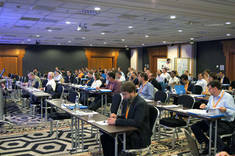 Attendance at the day sessions and the Conference Dinner is free of charge. MIKE URBAN IS NOW FREE FOR UK WATER COMPANIES! We are pleased to announce that, for UK-based Water Companies, MIKE URBAN is now available with no initial investment cost, when signing up to a minimum three year Support and Maintenance (SMA) agreement. This deal would allow you to complement your existing 1D-2D toolset with the power and flexibility of MIKE URBAN. True long term / continuous simulations rather than event based hydrology - slow response runoff modelling using rainfall dependent infiltration (RDI) to accurately model seasonal variations in infiltration and pipe flow. Advanced water quality simulations - fully integrated 1D-2D advection-dispersion modelling in order to consider the transport of polluted flood waters. Two-way interaction between pipes in the ground and the surrounding aquifer (groundwater) - modelling of infiltration to and leakage from pipes. Analysis of sulphide gas formation - assessment of odour and corrosion of infrastructure. Globally applicable rainfall-runoff models (including fully distributed hydrology). Local area weather radar integration (up to 100m spatial resolution). Online, web-based forecasting and warning tools with computer aided real-time control of pumps and storage features. Speed up simulations using a unique combined CPU-GPU approach. Seamless integration of powerful river, overland flow and marine models. New to MIKE URBAN? UK-based support, and introductory training, is available with access to international expertise as required. Not a UK Water Company? Please call to discuss model features, licensing options and pricing. Offer valid in mainland United Kingdom only - other terms and conditions may apply. We reserve the right to amend or withdraw this offer at any time. We are in the early stages of planning the UK Annual Symposium 2015. We are thinking about a new venue - but the date is likely to be April 2015. We love creating the opportunity for you to meet both the UK Team and the wider DHI Team and for you all to meet each other and share what you have been using the MIKE by DHI software for. The conference usually includes a wide range of presentations and workshop to inspire those who are new to our software as well as those who have been using it for many years. If you have been working on a project that would like to tell everyone about - Feel free to drop us a line at mikebydhi.uk@dhigroup.com and reserve your presentation slot.